Ceramic inlays are the best way to restore posterior teeth. The round contact point in between the teeth can be prepared by the dental technician in the best way, as compared to a direct, ordinary class II filling restorations. 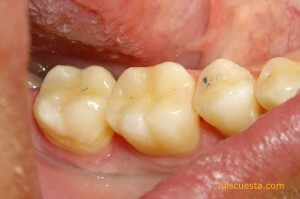 Also, patients who present allergy to metals and who desire a highly esthetic restoration might benefit from ceramic inlays because these restorations are extremely biocompatible (ceramics are among the most compatible biomaterials) and can mimic the appearance of the natural tooth, when properly made. Ceramic inlays are tooth-colored glass-based restorations used as fillings in back teeth (molars and premolars). 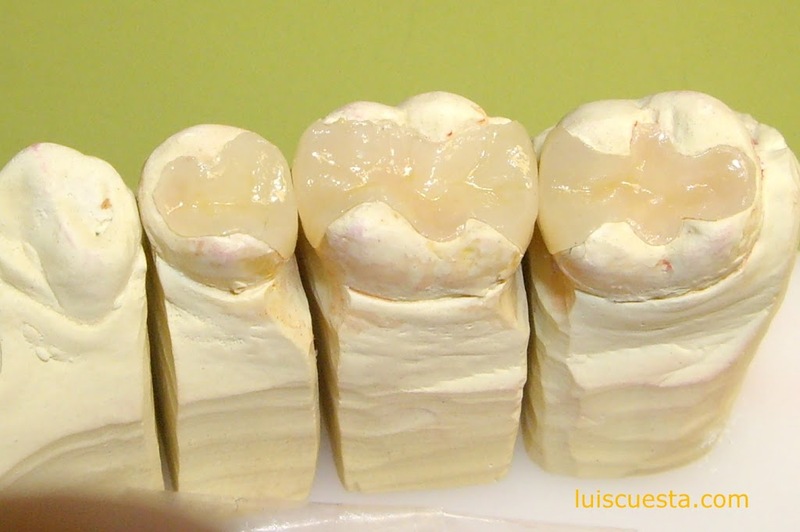 These fillings are made of dental porcelain in a dental laboratory using a copy or model of the tooth preparation obtained from a mold made by the dentist. 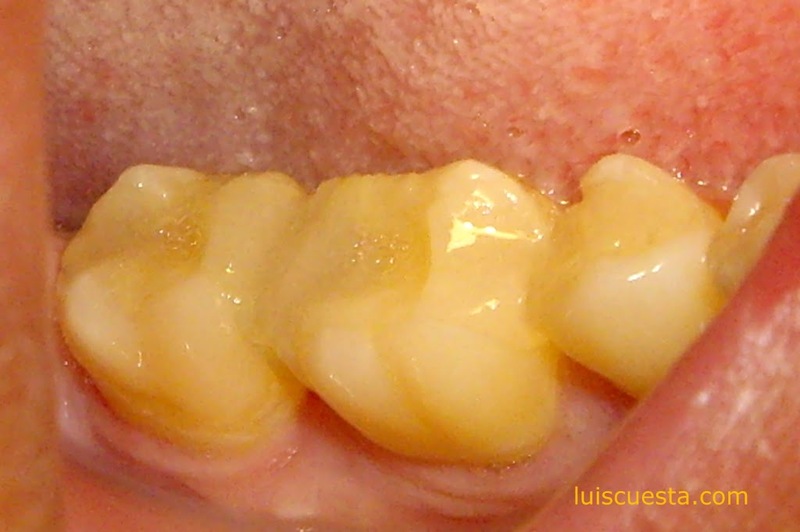 After being completed, the inlay is cemented in the tooth preparation with composite cement. 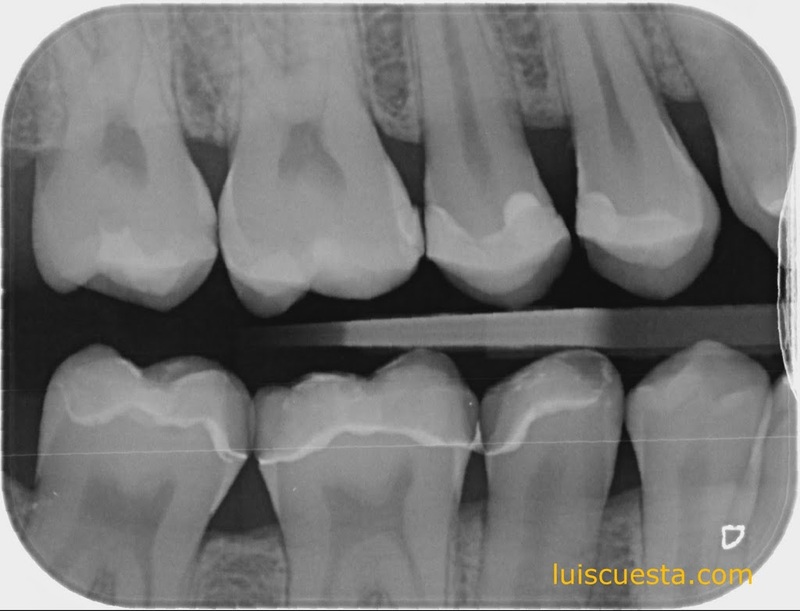 The X-Ray shows interproximal caries in between the lower right molars and inaccurate edge -to-edge termination of the class II fillings in between the molar and the premolar. 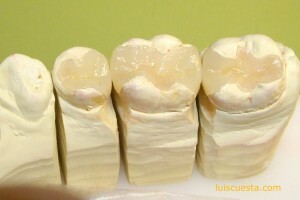 The preparation of the teeth needs to be totally extrusive, so that the ceramic inlays can be set in place easily. The retention is obtained by means of the cement composite and the adhesives. 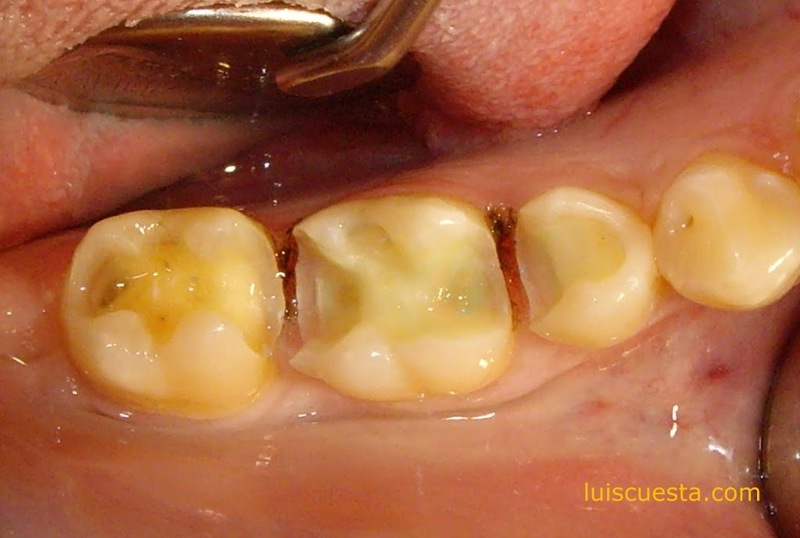 In order to obtain a good silicone impression, the papilla can be cauterized with an electro scalpel. 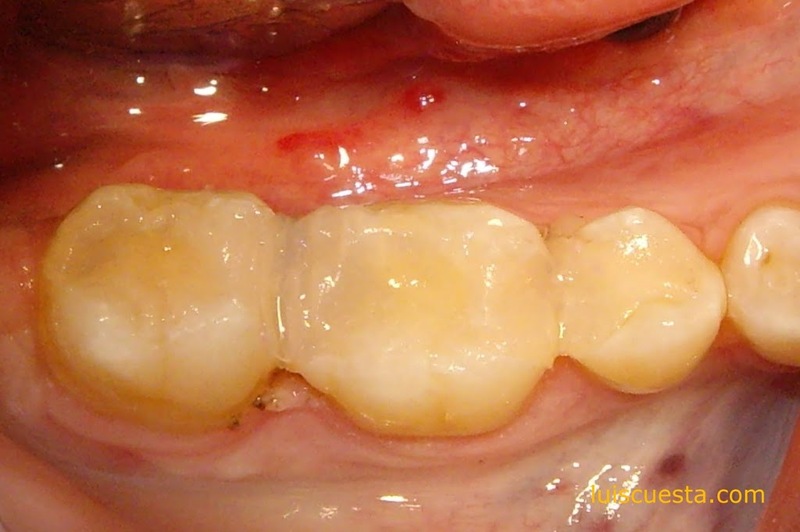 The papilla will grow back again after the ceramic inlays are definitely set in place. 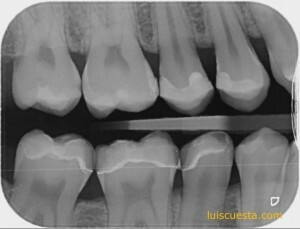 The displacement of the papilla can also be achieved by using retraction threads. The provisories for the ceramic inlays are made with a soft, light cured composite. These are the views at the moment of setting and one week after. 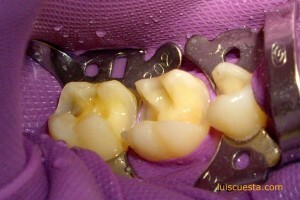 The provisories should be easy to remove with a probe, for example, and they hold themselves in place without cement. This are the views of the preparation in cast, and the set-up display in mouth prior to cementation. A rubber dam is used for isolation of the desired teeth, with the help of one or two clamps. Correct rubber dam isolation and correct use of adhesives are both vital for a long lasting result. 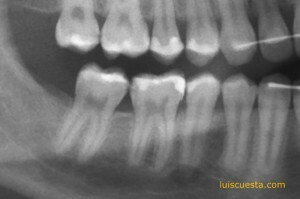 This is the final mimetic result of the ceramic and a check X-ray in order to control the contact points where the eye doesn’t reach. A small excess composite still needs to be removed from the contact point in between the molar and the premolar.